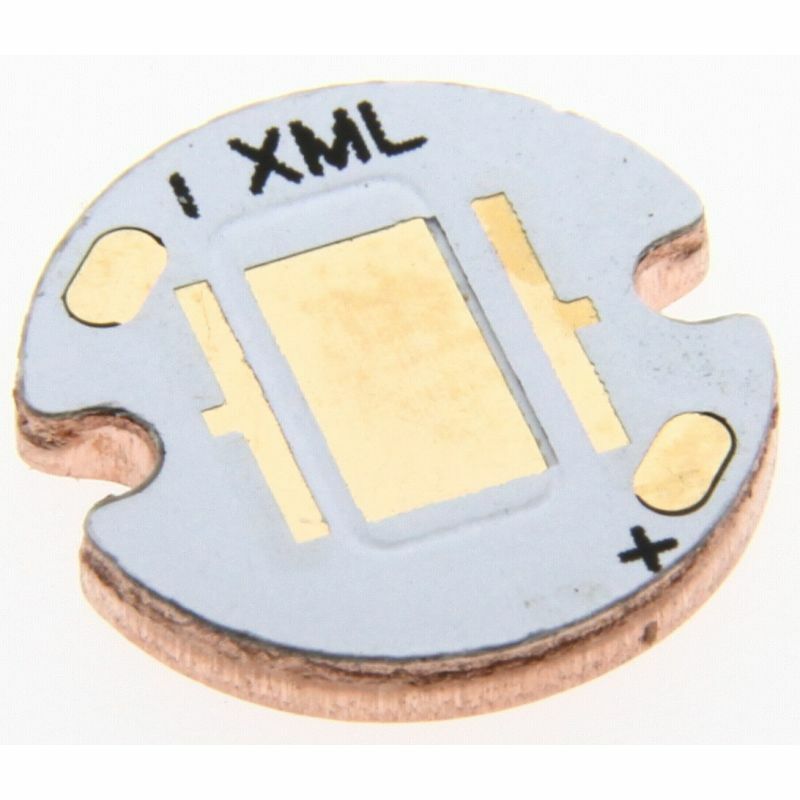 Copper PCB 10mm for Cree XML, XML2, XHP50, XHP50.2 LED emitters!!! PERFORMANCE BOOST for Cree LED emitters. Direct thermal path allows for cooler LEDs and higher output. These copper core PCBs significantly boost the performance of LEDs. The direct thermal path technology makes it possible to drive the emitter much harder than factory specification. The emitter is soldered DIRECTLY to the copper heat pad. . These are high quality, and preform well above standard aluminum MCPCBs. Boards that simply use copper for the base and retain use of the crystal substrate layer in the center will not give you the same performance. Using these stars in combination with PROPER heat sinking emitters can be driven to significantly higher than rated capacity. Output Gains are seen even at DOUBLE the rated drive current of emitters. Output increases are also achieved at some standard currents. Output graphs compare standard MCPCB with copper MCPCB in controlled test (graphs thanks to BLF member Match).